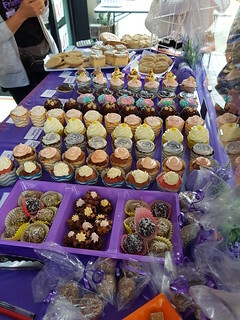 The Cruelty Free Shop organises two Vegan Day Outs each year in the cities where it has a shop (Sydney, Melbourne, Brisbane, Canberra). The shops tend to be in very vegan-friendly areas, so they organise a range of deals and specials with surrounding businesses over a weekend for you to enjoy. They also have HUGE sales in their actual shops, with lots of good deals. To participate, you just need to stop into the CFS and pick up a map with vouchers, then head out and explore. 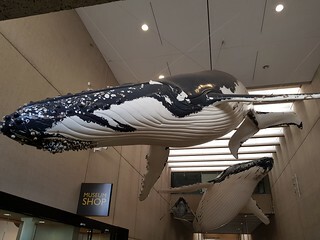 This happened a couple of weeks ago, and my friend Ashleigh and I decided to take advantage of some of the deals on the Saturday, while also seeing an exhibit at the art gallery. We picked up our maps, and headed out. For breakfast, we headed to Miss Bliss to try a couple of their vegan specials. 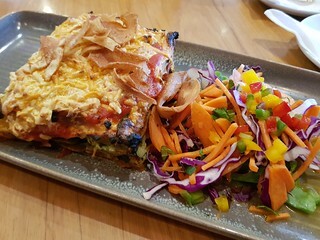 It turned out that VDO coincided with the first weekend of spring, so the 'specials' were just the regular vegan options on their new menu, and the regular price. Oh well, they were still pretty! 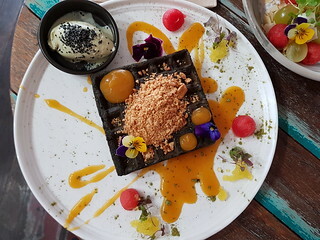 We shared the black sesame waffle with peanut sesame crumble, yuzu pearls and lemonbalm, with the matcha coconut yoghurt on the side. 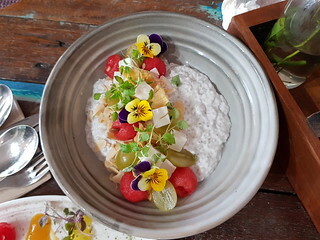 Also the white chia and tapioca pearl pudding with mango jam, coconut juniper jelly, pickled watermelon, grapes and pineapple chips. I was worried the pudding might be too coconutty for me, but shared with Ashleigh it was not too much. I loved the fresh bursts of flavour from the fruits, and the pineapple chips were chewy and sweet and amazing. The waffles were good too, though a bit dry. The coconut yoghurt is meant to be served on top, we got it on the side because of my issues. It indeed was way too coconutty for me, and also kind of bitter. Ashleigh, who can eat coconut fatty things, was not a huge fan either. 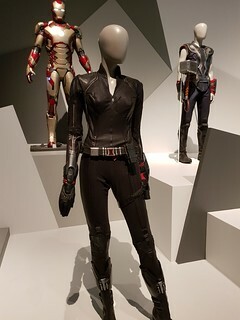 After breakfast, we strolled down to GOMA to see the Marvel exhibit on its last weekend. 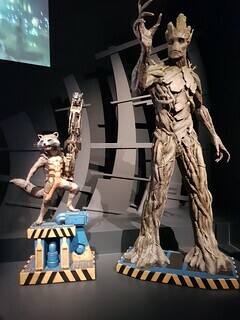 Even though I haven't see all the movies, it was pretty cool. Lots of costumes and props! 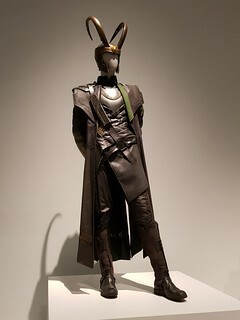 Of course, Loki is the best and I won't hear a word against my Marvel husband. 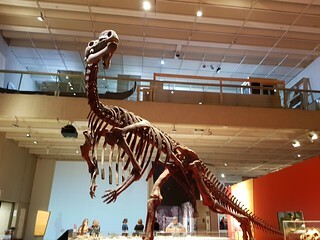 On our way out, we took a quick stroll through the Queensland Museum to visit the Whale Mall and the Muttaburrasaurus - both have been there since I can remember and both make me very happy to see! Then it was back for some more food. Vege Rama at West End had 10% off all vegan food for VDO. 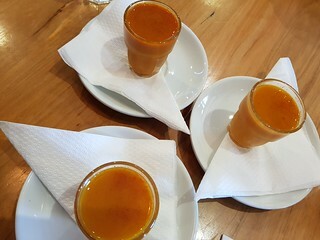 We started with some fun Tumeric Shots, and Ashleigh also had an Immunity Shot. I got the Kale Of A Ride green juice, which had kale, spinach, kiwi, coriander, apple, lemon and coconut water. Just the kind of silly drink I like! 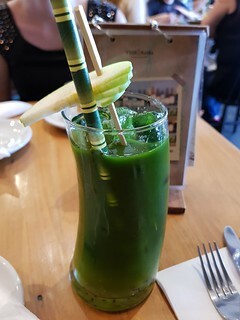 It was good, though definitely tasted very green! For food, they were tragically out of the ravioli, so we ordered a huge piece of vegan lasagne. I've had the lasagne at their city shop, and I imagine it is probably the same recipe, but this tasted better! 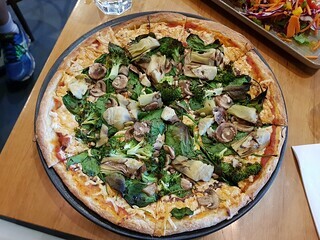 We also had the Artichoke Pizza (Artichoke, Spinach, Mushroom, Broccoli, Mozzarella, Napoli Sauce, Balsamic Dressing), which was delicious. The only downside was that they were very filling, and both had a heap of Daiya on them, so we were so full afterwards that further eating at VDO specials seemed unlikely. But not impossible. Because nothing will stop me in my quest for ice cream! 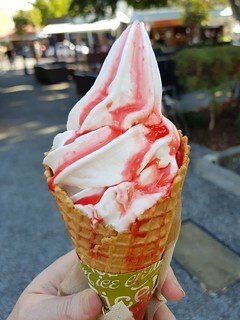 I Should Coco had a $5 cone special for their amazing non-gross coconut based soft serve with the sauce of your choice. I chose strawberry. On the Sunday the CFS was hosting a vegan bake sale for Coast To Coast Animal Friends, and I was dropping off some stuff, so I headed in very briefly after yoga to drop things off. They had an amazing spread, so many choices! Of course, since I was there, I took the chance to enjoy one more VDO special. Smashing Berries Superfood had some $10 vegan bowl specials, and I got the Chocolate Protein Peanut Butter Bowl (Base: banana, cacao, almond milk, peanut butter, pea protein // Toppings: chocolate buckini, banana, cacao nibs, peanuts, peanut butter)... it was so yummy! I also had a beetroot latte, they have one of the nicer ones that I have tried! So VDO was pretty fun, though I do find that a lot of the specials/deals for the Brisbane one are a bit meh compared to the larger cities like Sydney and Melbourne, but that is not entirely unexpected. You can still have a lot of fun! I look forward to the next one in the new year. Cat in a harness! Cat in a harness! When I was dropping off bake sale goodies, I got to meet Zulu! 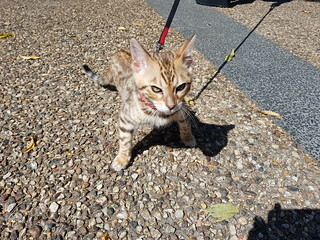 His mum was taking him for a walk, and he was so cute. He didn't pose very well for photos, but he did give me kisses! He was such a cutie!!! I got so excited when I saw him. You always find the most beautiful, delicious looking food! I've seen a few kitties in harnesses,and I always have to laugh. My cats would KILL me! Dim Sim wouldn't be too impressed either! Cat in a harness!! OMG! I really hope that I adopt a cat who's super into adventures like that, it would be so fun if they were an adventurous kitty. It is so cute to see kitties out and about in their safe harnesses. West End roads are so busy, this is the most responsible way to get him some roaming fun. 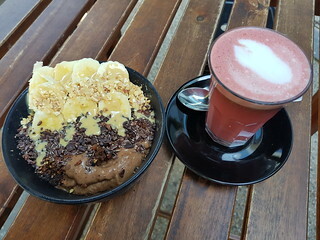 are beetroot lattes a thing in Australia or is that you are getting them from the same place?